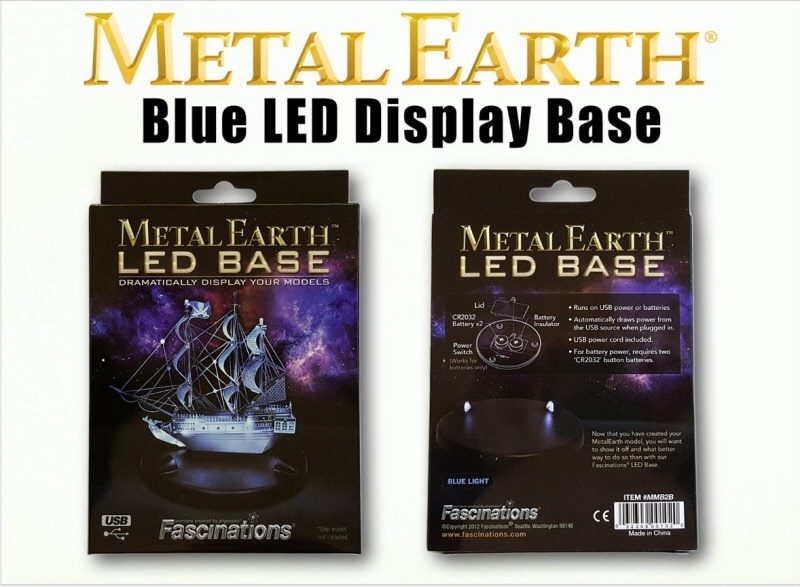 Now that you have created you Metal Earth model, you will want to show it off and what better way to do so than with our Fascinations LED Base. It runs on USB power or two "CR2032" button batteries. USB power cord included, emits blue light.